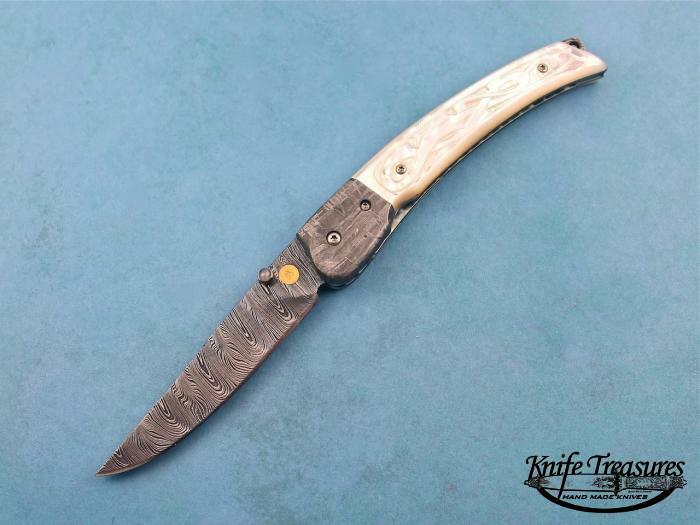 Another beautiful Art Folder by Donald Bell. 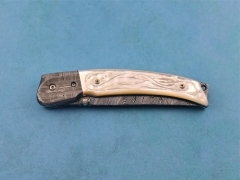 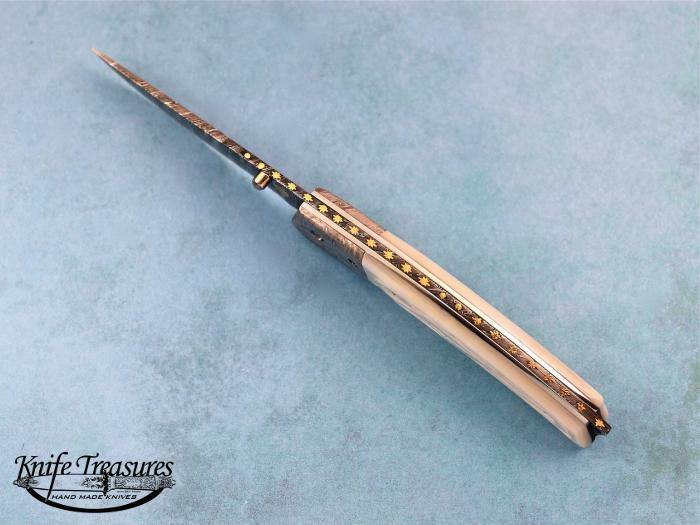 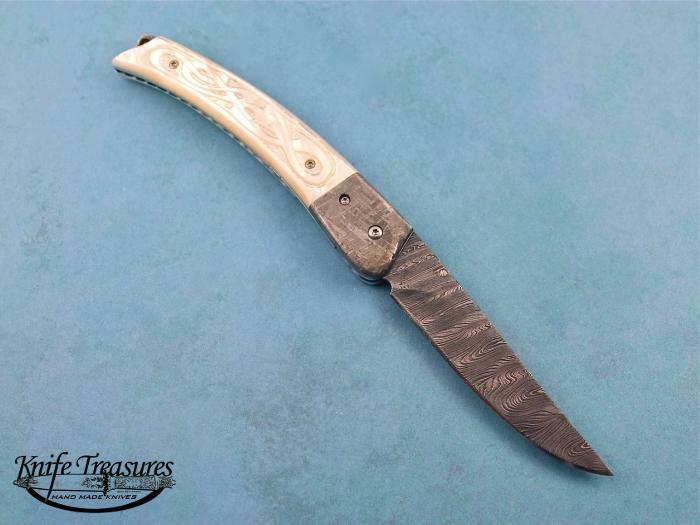 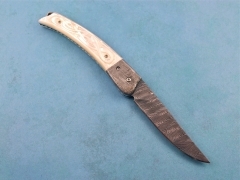 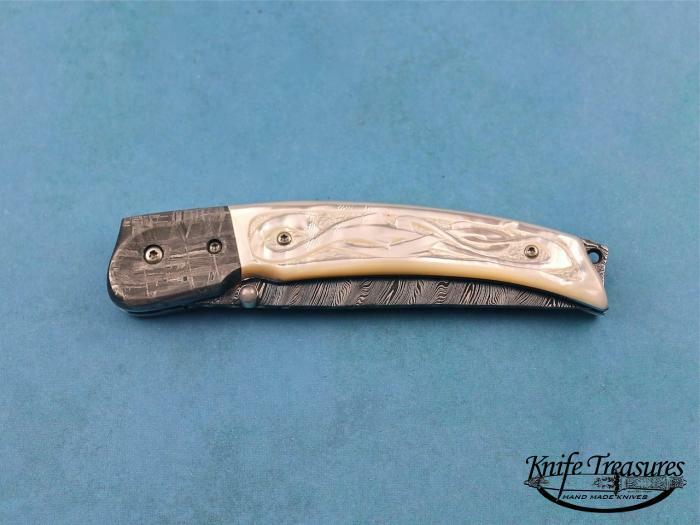 This gorgeous knife has nice Meteorite bolsters and carved Mother Of Pearl handle. 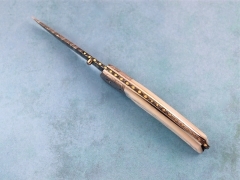 It also has some nice Gold Stars inlayed on the spine. 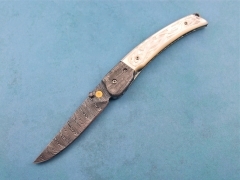 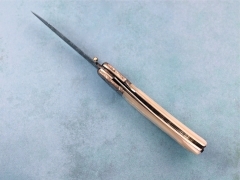 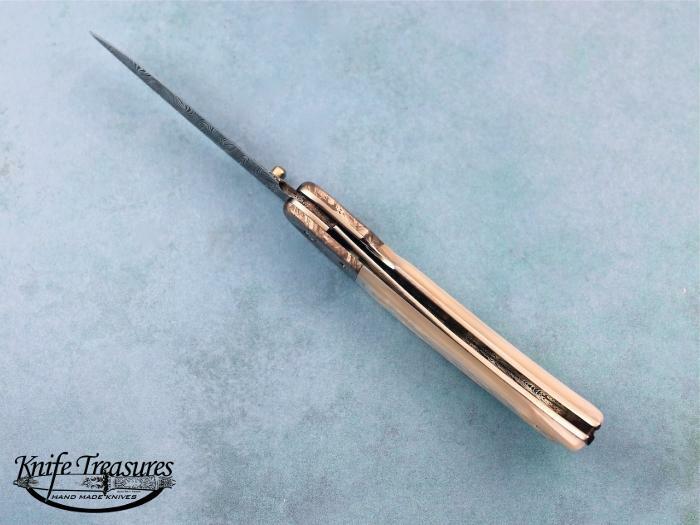 This knife has Donald Bells Stamp, a Gold circle with a bell on the blade.